DV = Daily value. If you are pregnant you will need to adjust your daily goals higher. How much folate do you need each day? According to the National Institute of Health, 100% DV = 400 mcg per day. If you are pregnant or trying to get pregnant you will need need to increase the amount of folate in your diet from 400 mcg to 600 mcg (source: NIH). In the Wholesome app settings, simply update your profile to 'pregnant' and the app will set your goal to 600 mcg per day instead of 400 mcg. Both are termed Vitamin B9 but folic acid is the synthetic form whereas folate is the natural form commonly found in whole foods. After ingesting the synthetic form, it must go through a complex metabolic pathway in order to turn it into the useable form, folate. But not everyone is able to process folic acid properly. Read more in my post about the differences between folate and folic acid. Wholesome analyzes 80 nutrients in your recipe and then generates a score out of a possible 10 points for how healthy the recipe is. 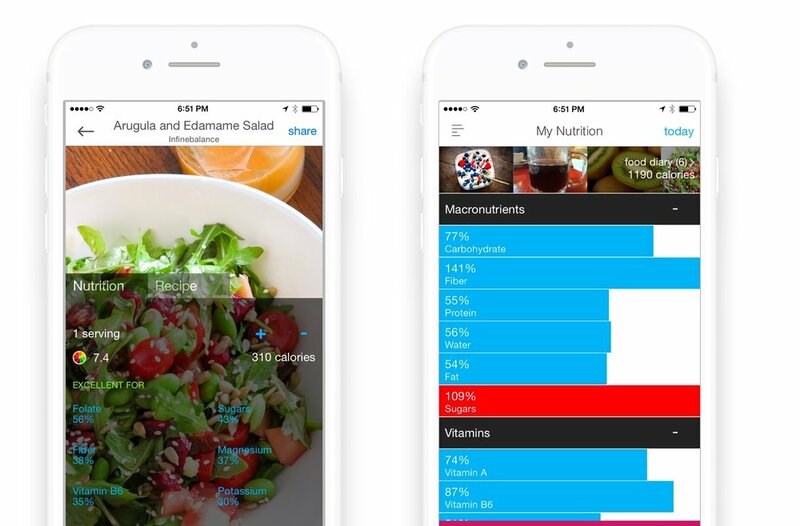 You can track foods and recipes and monitor your progress against your folate and other nutrient goals. Jessica Glago is the CoFounder of the Wholesome App. After having two different cancers in her childhood she developed the app with the help of her husband to get more healthfulness out of her diet. 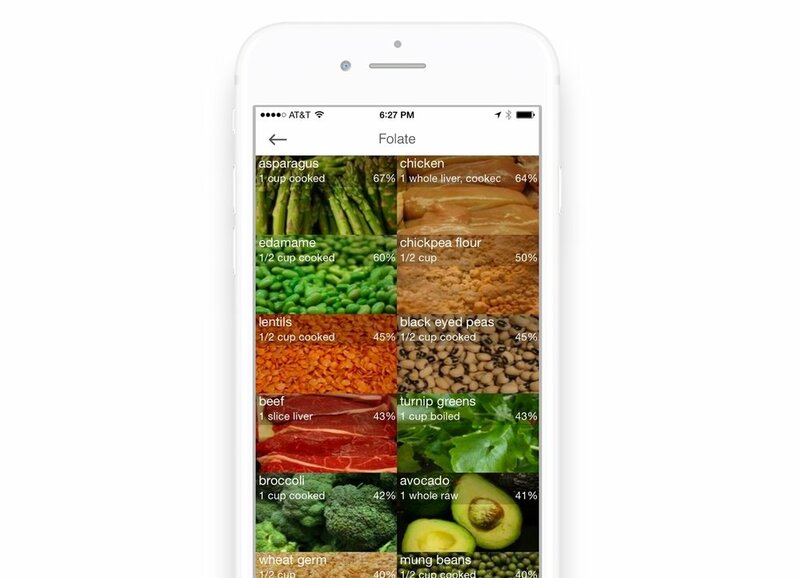 To date, Wholesome for iOS has had over 250,000 downloads and over 1.5 million whole foods tracked. The app has been featured on BuzzFeed, LikeHacker, CultofMac, and The Seattle Times.